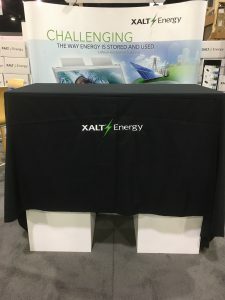 XALT Energy, a leading U.S. manufacturer of lithium-ion cells and battery systems, announced today that it is offering the XMOD114E, making it the first XMOD Modular Pack to use second-generation (Gen II) cell technology. The XMOD114E serves as an ultra-high density lithium-ion battery building block for highly-integrated energy storage systems based on XALT Energy’s high-performance lithium-ion cells. The modular pack delivers an industry-leading specific energy of 175 watt-hours per kilogram (Wh/kg), setting a new benchmark when it comes to energy density, life and robustness for lithium-ion batteries. XMOD114E is specifically designed for use in heavy-duty transportation vehicles, such as commercial transit buses, as well as trucking, marine, and stationary applications. You can download a PDF of the XMOD in our literature section or read more about it here.